With over 55,000 full time students, and just over 13,400 available student beds, it's easy to see why there has been significant interest in the student property market in Leeds. One of the UK's traditional university towns, Leeds now offers seven full time higher educational establishments, attracting a large number of overseas students each year. Leeds moved quickly with the local history and became a significant market town in the Middle Ages to take advantage of a booming agricultural trade, then shortly after accrued fame for its cloth and wool production. The Industrial Revolution gave Leeds a fantastic boost, bringing it into the 19th century as a powerful industrial centre with success now in engineering and metalwork. 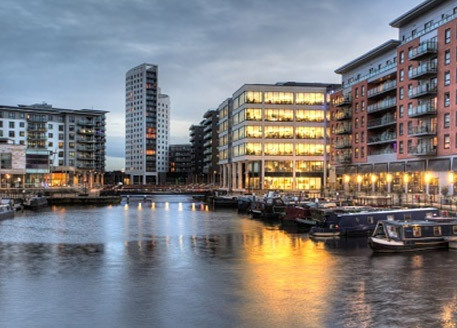 Since the decline of the British industry, Leeds has become the largest centre of business, legal and financial services outside of London. Leeds is the ‘capital’ of the West Yorkshire area, being the chief centre of culture, finance and commerce in the locality. Enjoying a very central location in the northern reaches of England, Leeds is a popular stopover point for those travelling further towards Newcastle, Edinburgh and Glasgow. With excellent motorway links, Leeds is just over 3 hours away from London and less than 2 hours from Birmingham. Other northern powerhouses such as Liverpool and Manchester are both less than 90 minutes from the city. Leeds City (railway) station is a busy hub which connects Leeds to most major UK cities, whilst the public transport systems make good use of the city’s ring road and A road network to supply local travel. Leeds-Bradford International Airport flies to Europe and North America and is just 20 minutes from the city. Recent years have seen a significant increase in the levels of interest in the Leeds student property market, as investors became increasingly aware the widening gap between overall student numbers and the numbers of available student beds in the city. At present, the latest estimates show approximately 13,400 available student beds for the cities 55,000 full time students. With a students to beds ratio of 4.1, this is currently above the UK average, showing a distinct structual imbalance in availability.